If you are interested in singing up for this mentorship program with Emily and creating your course in 30 days, select a window for a 15 minute chat Emily and get registered. Meet and chat with Emily over Facebook Video Messenger, Skype, FaceTime, or even over the phone. Ask all your questions about private services, The Akashic Academy, and Learning to Read The Akashic Records. 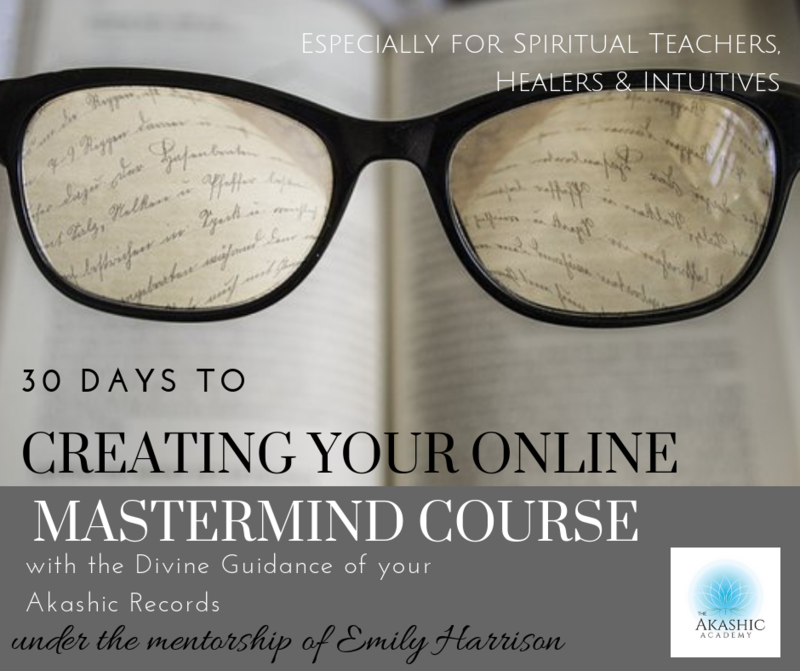 This is your opportunity to see if Emily is the right spiritual mentor for you and your journey. The Akashic Records are the cosmic library of the Universe and hold all information from your past, present, and future. By entering the space of the Akashic Records you can ask any question and receive wisdom, guidance, clarity, and healing energy. If you would like to begin your application process for private apprenticeship in the Akashic Records, an 8 day ultimate healing and learning retreat in Lake Tahoe, CA, schedule your interview with Emily here.